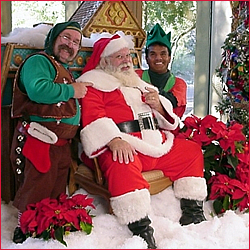 You have the option of hiring Santa Claus and Company for your holiday party or event this year! Perfect entertainment for both children and adults alike, this real bearded Santa (several available) can be accompanied by Mrs. Claus and even elves for your special Christmas event. Available in Tucson, Prescott, Wickenburg, as well as other states and cities.